Northeast Florida’s largest trial law firm representing only injury and accident victims since 1974. Learn about our teams of experienced and caring trial attorneys. Learn about our extensive experience in handling all types of personal injury cases. We represent the injured as they seek justice. Under Florida law, dog owners are strictly liable for injuries caused by their dogs. This means that negligence by the dog´s owner does not have to be proven. Florida Statute 767.01 provides, “owners of dogs shall be liable for any damage done by their dogs to a person…” This statute makes dog owners the virtual insurers of their dogs´ conduct. 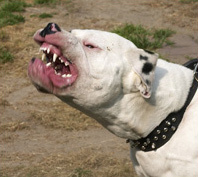 Dog attack victims in the US suffer over $1 billion in monetary losses every year. According to the Insurance Information Institute, dog bites cost insurers $345.5 million in 2002, $321.6 million in 2003, $317.2 million in 2005, and $351.4 in 2006. The number of claims paid by insurers was 20,800 in 2002, but fell to 15,000 in 2005. The insurance payment for the average dog bite claim was $16,600 in 2002, but rose to $21,200 in 2005. Liability claims accounted for approximately 4 percent of homeowner’s claims. Dog bite claims in 2005 accounted for about 15 percent of liability claims dollars paid under homeowner’s insurance policies. Over half of 50 the dog bites occur on the dog owner’s property. Although dog owners are held to be strictly liable under the law, many homeowner insurance policies exclude coverage for dog bite claims. Toward that end, should a neighbor have a breed of dog which is known to have violent propensities and their dog or dogs are not being properly controlled, you may contact Animal Control and they will ensure that the dog or dogs are properly controlled, and in certain instances, properly insured. In the United States, there are almost 5 million victims annually — about 2% of the entire population. 800,000 need medical attention because of dog bites. 1,000 per day need treatment in hospital emergency rooms. Approximately 26 die per year. Most of the victims who receive medical attention are children, half of whom are bitten in the face. Dog bite losses exceed $1 billion per year, with over $300 million paid by insurance. There currently are 74.8 million dogs in the USA. A survey by the national Centers for Disease Control and Prevention in Atlanta (“CDC”) concluded that dogs bite nearly 2% of the U.S. population — more than 4.7 million people annually. The vast majority of biting dogs (77%) belong to the victim’s family or a friend. The majority of dog attacks (61%) happen at home or in a familiar place. Children are the most frequent targets. Dog bites result in approximately 44,000 facial injuries in US hospitals each year. This represents between 0.5% and 1.5% of all emergency room visits The face is the most frequent target (77% of all injuries). Mail carriers are an exception where 97% involve the lower extremities. Dog attack victims in the US suffer over $1 billion in monetary losses every year. According to the Insurance Information Institute, dog bites cost insurers $345.5 million in 2002, $321.6 million in 2003, $317.2 million in 2005, and $351.4 in 2006. The number of claims paid by insurers was 20,800 in 2002, but fell to 15,000 in 2005. The insurance payment for the average dog bite claim was $16,600 in 2002, but rose to $21,200 in 2005. Liability claims accounted for approximately 4 percent of homeowners claims. Dog bite claims in 2005 accounted for about 15 percent of liability claims dollars paid under homeowners insurance policies. Over half of 50 the bites occur on the dog owner’s property. American Pet Products Manufacturers Association (APPMA) 2007-2008 National Pet Owners Survey. Weiss HB, Friedman DI, Coben JH. “Incidence of dog bite injuries treated in emergency departments,” JAMA 1998;279:53, citing US CPSC, “Injuries associated with selected sports and recreational equipment treated in hospital emergency departments, calendar year 1994.” CPSC Review, Summer 1996;1:5. Also citing US CPSC, “Stair Steps and Baby Walkers Don’t Mix.” Washington D.C.:US CPSC;1992. Consumer Product Safety Alert No. 009207. Centers for Disease Control and Prevention, Nonfatal Dog BiteBRelated Injuries Treated in Hospital Emergency Departments C United States, 2001, MMWR 2003;52:605-610. Morbidity and Mortality Weekly Report is published by the CDC. Clifton, Dog attack deaths and maimings, U.S. & Canada, September 1982 to November 13, 2006. Insurance Information Institute, Dog Bite Liability. © 2017, Terrell Hogan. All rights reserved.